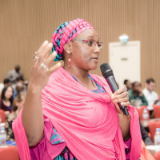 As part of the inaugural Clean Cooking Investment Forum in Kigali, a matchmaking session resulted in more than 200 one-on-one meetings between leading businesses, investors, market development organizations, and policymakers. Co-hosted by the Clean Cooking Alliance and Energy Private Developers, the first-ever Clean Cooking Investment Forum convened over 250 business leaders, investors, donors, and government representatives from over 40 countries to collaborate on the development of a global and sustainable clean cooking industry at scale. To more accurately reflect its industry-building approach for cookstoves and fuels—and to highlight the evolution and growth of the clean cooking sector—the Global Alliance for Clean Cookstoves has changed its name to the Clean Cooking Alliance! 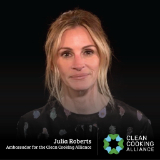 The Clean Cooking Alliance released a new public service announcement featuring Academy Award-winning actor Julia Roberts. A Global Ambassador for the Alliance, Ms. Roberts works to bring attention to one of the most urgent health problems facing women and families around the world: toxic smoke from cooking over polluting open fires, stoves, and fuels. 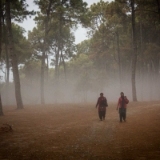 The International Organization for Standardization has published a new, six-tier system of voluntary performance targets for cookstoves, defining benchmarks for efficiency, emissions, safety, and durability. 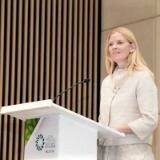 SEforAll’s Energizing Finance Report clearly demonstrates that the financial commitments to achieve universal access to electricity and clean cooking are still falling far short of where they need to be in terms of both the level of committed funding, as well as the most appropriate energy sectors and country recipients. A New York Times profile piece highlights clean cooking and the work of Alliance partner Inyenyeri, which is working to replace Africa’s dependence on charcoal and firewood with clean-burning stoves powered by wood pellets. 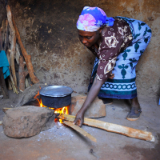 This report summarizes the baseline data from an experimental study that aims to identify and understand any fluctuations in time-use patterns and changes in the quality of time for 55 households in rural Kenya after a switch in cooking technologies. 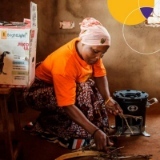 This webinar featured two studies seeking to answer whether liquid, gas, and high-performing biomass cookstoves provide measurable climate benefits when used in households in Nepal and Rwanda. The report, which has drawn widespread attention, reveals that limiting global warming to 1.5 degrees Celsius requires rapid and unprecedented action by all countries and that clean cooking plays a critical role in doing so. The World Bank released its annual RISE report, which for the first time tracks policy progress around access to clean cooking. 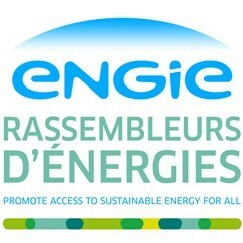 The mission of ENGIE Rassembleurs d’Energies is to promote access to sustainable energy for all through direct minority investments in enterprises that provide sustainable and relevant energy access solutions to under-served populations. Germany and Bangladesh are looking for project proposals directed at renewable energy, among other topics. Applications are open until 31 December 2018. The European Commission is funding visionary and integrated solutions to improve wellbeing and health in cities by reducing climate-related risks, pollution, environmental stress, and social tensions. Copyright © 2018, United Nations Foundation. All rights reserved. If you received this message forwarded from a friend, SUBSCRIBE HERE.